BatchPhoto™ is a powerful all-in-one photo manipulation program for Windows and Mac OS X that lets photographers, web designers, business people, and families enhance photos quickly and efficiently. Simply select a group of photographs, and with a single operation annotate, touch-up, apply special effects, convert, resize, and rename every image in the group! 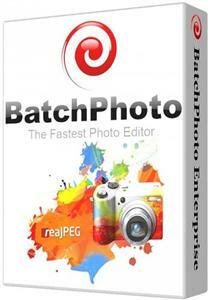 - Edit your photos and upload them to Facebook or Flickr in the same session. - Edit images, optimize for web use, then upload to FTP.